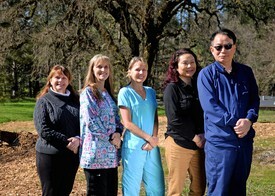 Dr. Jason Lee has been practicing implant and general dentistry for over 20 years. He has been involved in receiving extensive education and training in implant dentistry and has been providing comprehensive implant dentistry. Dr. Jason Lee graduated from USC (University of Southern California) Dental School. He also received another graduate degree from Purdue University. Dr. Jason Lee and his wife Ann have been married for over 20 years and enjoys raising an adopted son, Jaemin.